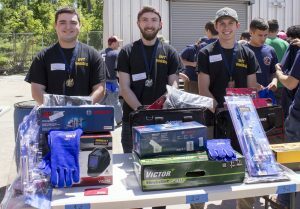 Chicopee, MA – For the 20th consecutive year, students from vocational schools across southern New England competed in the Notch Pipe Welding Challenge at Notch Mechanical Constructors in Chicopee, MA. 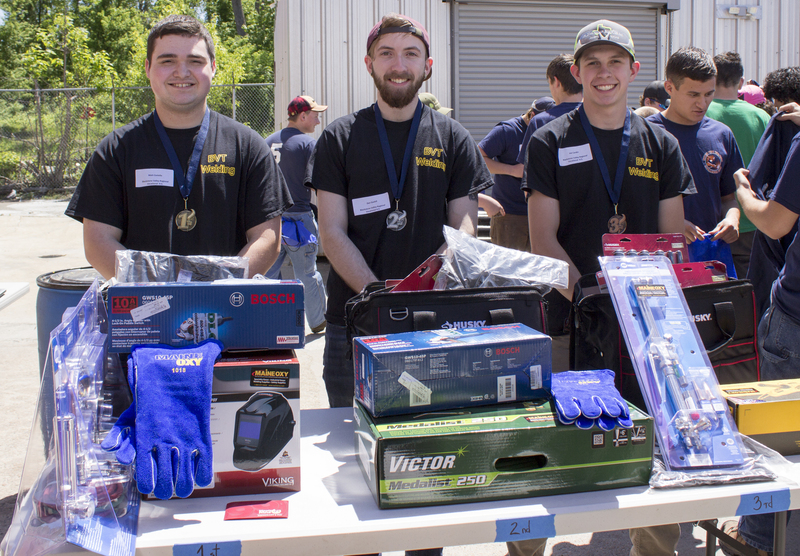 Since 1999, Notch has organized and sponsored the annual Welding Challenge as New England’s premier competition for high school welding students. This year the event took place on May 23, 2018. Each year, competitors in the Welding Challenge spend several months learning and practicing welding techniques in a vocational classroom setting. Between March and April, competitors perform a 6″ open-root pipe weld using the Shielded Metal Arc Welding process, also known as SMAW or “stick” welding. The completed weld coupons are judged by certified weld inspectors in accordance with ASME Section IX requirements at the final judging event in May. Notably, each of the top three winners for 2018 is a student at Blackstone Valley Regional Vocational Technical High school in Upton, MA. As the first place finisher, Mathew Costello was named “Top Notch Welder” and awarded $500 cash, a prize pack of welding tools and supplies, a competition medallion and a first place trophy. His school also received a $500 certificate for professional supplies to use in their welding program. During the Welding Challenge event in Chicopee, a panel of four current Notch employees and one former employee spoke to the students about the variety of different paths they can take in the craft field, and then fielded questions from the students. Again this year, several generous sponsors donated prizes consisting of “tools of the trade” for the top three winners and the winning school. There were several other door prizes for lucky attendees and each student left with a goodie bag. Sponsors included Notch Mechanical Constructors, Airgas, Collins, City Machine, Maine Oxy, Peterson Steel, Tek Stainless Piping Products, Mackey Mechanical, Mass ABC, BE Crowley, FW Webb, Ivey Industries, ITW North America, Marcotte Ford, Swiss Uniform, Giombetti Associates, TP Daley Insurance Company, Cap & Hitch of New England, Chicopee Tire, Independent Pipe and Supply, Gould Construction Institute, Hadley Printing, Nefco, Sullivan Metals, Tierney and Dalton, International Valve and Instrument Corp, and Welder Repair.